For most of us who have lost loved ones in service to our country, Memorial Day is a day of reflection and reverie. But over the years, the day set aside to remember our fallen veterans can feel like a contradiction when the holiday takes on a celebratory air as people gather to picnic, barbecue, and soak up the first of the season’s rays. While most veterans don’t begrudge the public an opportunity to welcome summer after months of winter’s chill, leaders in the business community should remember to be respectful when targeting audiences for Memorial Day ad campaigns. We’ve all seen retailers whose Memorial Day discount promotions cross the line between marketing and exploiting veterans, and it is a good way to alienate potential customers. This is a holiday when business owners should lead by example. 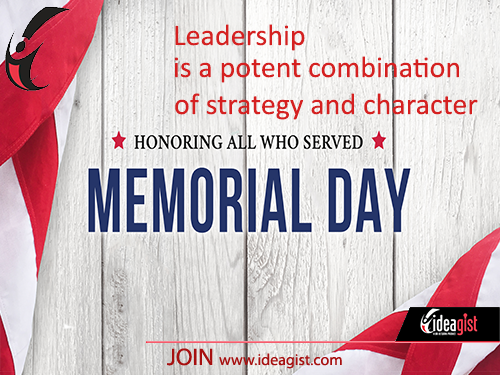 Entrepreneurs and startup leaders can set a standard, if not for the entire business community, but for their company’s public image by considering ways to respectfully recognize Memorial Day. Promotional materials, sales, and scheduled events with a celebratory message or atmosphere should be kept separate from traditional Memorial Day rituals. A rowdy, crowd-packed sale or gas-grill give-away are not appropriate settings for observing a moment of silence in memory of those who lost their lives while protecting their country. Keep Memorial Day respectful of the heroes it honors. Most Americans pay attention to the details when it comes to our veterans, and the long-term respect you and your company will earn by simply retaining a backbone can serve you long after three days of frenzied merrimaking and profiting from unloading last season’s inventory are only remembered by the people who were offended.